Girl with MS - Tips & Tools for Thriving with Multiple Sclerosis: Epic vacation, lost vitamins, fighting a relapse. Epic vacation, lost vitamins, fighting a relapse. Where is my pill box? This trip was flawless until now. Everything organized and flowing like a dream. Until midway into the last week when my vitamins were nowhere to be found. Oh crud. My Myetin was in this box. Not to mention my Grandmother’s diamond ring. But in reality it was the Myetin I was most concerned about. This means five days without my high dose biotin, Myetin. Oops. Not a good thing when venturing into 100F heat, adventures and time with your boyfriend. Not good at all. The heat hit hard but my MS stayed at bay. Fun was had by all. Mid-State Fair, Dwight Yoakam and great friends. One couldn’t ask for more. Except to find their Myetin. Energy flows where attention goes. And I do not have energy to waste. Putting my lost vitamins aside, we had a beautiful drive to the Central California Coastal town of Harmony. I’ve been visiting this town since 1985 and the charm never fades. After some pottery purchases and selfies with the Cow parade, we ventured on up the road to the unbelievable Hearst Castle in San Simeon. It’s been years since riding the visitor’s bus up the hill. And, well, let’s just say my MS had the better of me. Dizzy, fear of heights, it took everything I had to relax and meditate my way up the historical path. These frantic, nervous feelings are new to me. Prior to MS, my weekends consisted of rock climbing, white water kayaking, racing mountain bikes, and back country skiing in the Cascades of Oregon. Now I am afraid of a bus ride. Then, we arrived at top, and the sun came out. Not too bad at first and fortunately not a scorcher this day. But the rooms, those grand rooms of William Randolph Hearst, they got a little warm. A once avid adventurer, this girl with MS is limited in many ways unnoticeable to the naked eye. Fatigue, pain, balance issues, spasticity, are just a few to having a nursing, loving caregiver such as Tim, has made all the difference in the world. My parents have been wonderful caretakers, but traveling with Tim does have its benefits! As dizziness rolled over me and the heat related MS hug crept its creepy hands around me, Tim grabbed a chair, a fan and sat me down. I don’t look sick. People stared, but only for a bit. Do people with invisible illnesses need to wear a sign? Frustrating to be in this position, with an invisible disability, but it is a good reminder to look at other people the way I want to be viewed, with kindness and gratitude in my heart. To see without judgement. Almost ten years of my life were spent in this beautiful Central Coast of California. I yearn to return to the countryside with Tim. Have a garden, animals, couple of horses. But that’s another story. A former horse trainer and ranch hand, I was fortunate to have worked several of the Hearst Ranches. There were broodmares and foals in Paso Robles at Phoebe Hearst’s Circle 6 Ranch. This ranch also housed a couple of international vaulting teams and the USET two-up carriage horse team. This was all fascinating and fun work while studying Agribusiness and marketing at nearby California Polytechnic State University, San Luis Obispo. In addition, my ranch work took me to the Estrella Ranch where I exercised cutting horses, rode turn back, worked cattle and witnessed a variety of wildlife while loping across George Hearst’s 17,000 acres. Also, The Jack Ranch out in Cholame was a beautiful, historical setting to work cattle and hunt wild boar. Thank you Hearsts and Hearst Corporation for amazing memories! Distracted from my lost vitamins, we continued down the Pacific Coast Highway to the beautiful Cliffs Resort in Pismo Beach. Thank you, Tim, for this wonderful gift and surprise! My attitude was all positive but symptoms started to rear their ugly heads. First, my vision started to wane. Try as I might, but it was getting hard to focus. Fortunately for me, all I had to look at was this incredible view of the beach. This is why my hands are not on the steering wheel. When it goes, it goes! Next, the weeble wobbles. And, we do fall over, unless there is a cane, chair, or a loving caregiver, like Tim, nearby. Blessed to have the latter, it was easy to lean on him, both physically and emotionally. Because let’s admit it, having times like this get us down whether we like it or not. The pill box is nowhere. It must be somewhere in the trailer back in Templeton. I can’t buy my Myetin at a store. Hmmmm. Definitely next time I travel, will pack a backup supply, or two. Because I really don’t like this feeling and I want my vitamins! Tim and I had an amazing adventure. We tootled on home down Hwy 1, the Pacific Ocean to our right, the burned hills of Montecito to the east. Life is good. Very good. And it will be even better when I get to my vitamins. Research has shown it’s also important to understand that taking high dose biotin may provide a false positive result on a thyroid test. For a true thyroid result, research recommends abstaining from it for two weeks prior to the test. I shared the research with my doctors. And more importantly, shared my personal results. Pain, fatigue, cog fog has reduced to a point of non recognition. Work productivity and energy level are at an all time high. My life with MS is thriving at a level I’ve never expected or believed would happen. Thank you, Myetin, for creating a product that works for me. And thank you, me, for knowing how to research and fine quality interventions to help me and others with MS.
My pill box was left in Templeton. Grateful to know the diamond ring wasn’t lost. And to know I actually did leave it somewhere and didn’t lose it. Whew. Back on Myetin and it feels oh so good! It tastes so good. LOL, I can’t believe how much I actually like this dissolvable tab. Talk about an easy vitamin to take. So, if you read my earlier blog post about Myetin, I call it my Scooby Snack. Only after all my swallowable pills are taken may I partake in my tasty Myetin. The things we do to stay on track. But even then I tend to rush through my tab. That’s not the point! The point is to let the tab take its own sweet time to dissolve under my tongue. The problem is, I have no patience. Literally, none. Especially for sweet tasting tabs of wellness. So, I’ve created the MyMyetin Challenge. How long can you take to dissolve your Myetin? I’m at .... let’s see, I better try one now so I can see what my record it. Hold on for a sec. OK. One minute! sixty Seconds! That is my record for dissolving My Myetin tablet. Can you pass the sixty second MyMyetin challenge? 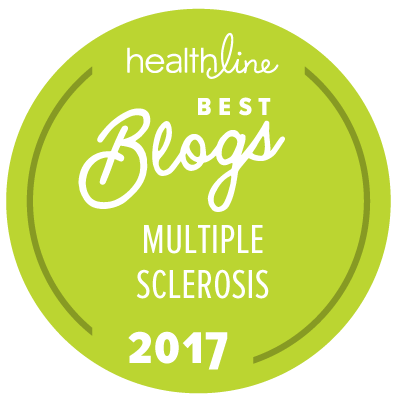 This blog post brought to you by Caroline Craven, Avior Nutritionals, and Myetin, your high dose biotin for MS. 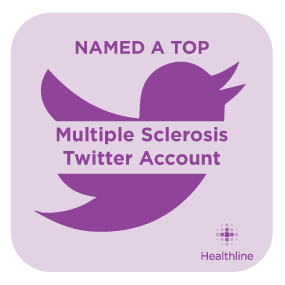 Thank you all for your continued support of GWMS and our mission to say #takeTHATms!